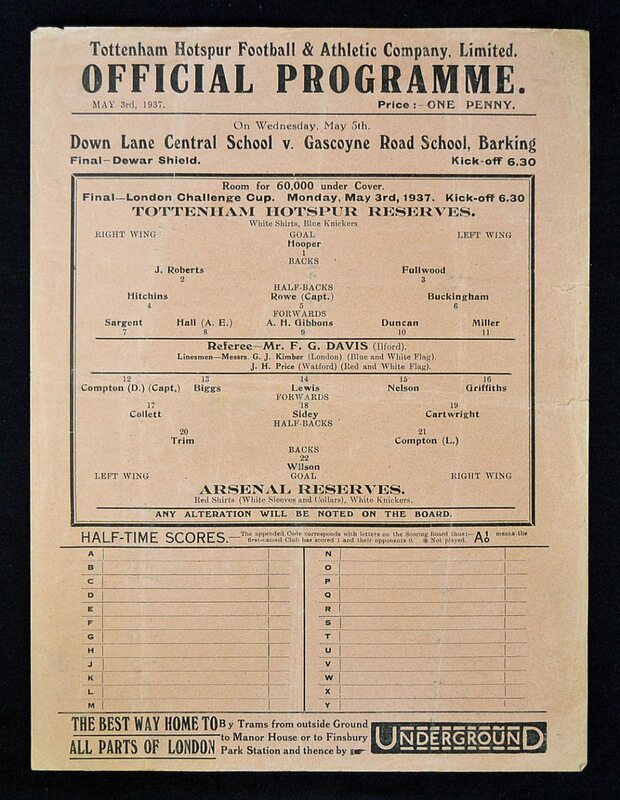 1936/37 Tottenham Hotspur v Arsenal London Challenge Cup Final football programme dated 3 May 1937. 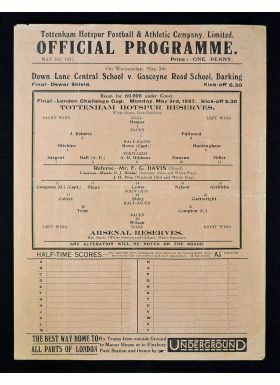 Noted that Denis Compton (Arsenal Captain) and Vic Buckingham and Arthur Rowe (Captain) of Spurs all played. Single sheet, slight crease.